The European Commission has asked the European Court of Justice to consider whether there are adequate legal remedies available to UK citizens challenging environmental injustice. Since 2005 the UK has been a signatory to the 1998 Aarhus Convention which recognises that protection of the environment is essential to the health and well being of present and future generations. Aarhus requires the UK to ensure that the public have access to information about development proposals which could adversely affect our environment, including cultural sites and buildings, and that the public can participate effectively in decision making and have affordable and fair access to the Courts to obtain adequate and timely remedies. The huge cost, and the financial risks to individuals, of Court action is one of the main barriers to citizens challenging environmental injustice. As a result wealthy developers are free to adopt hazardous procedures and transform areas of the UK into monocultural natural and built environments so that local character and bio-diversity is lost. 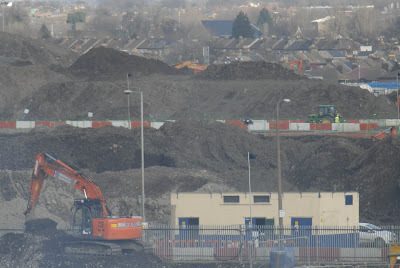 Earthworks, containing radioactive thorium & other toxic waste, in progress on the 2012 Olympic site. An individual was refused legal aid to challenge the authorities methods despite the wider public interests involved. By adopting a company format OPEN has been able to protect its individual members from the risk of personal liability but, despite several legal challenges on behalf of local communities, the Courts have always refused to place a cap on the legal costs which a developer could claim against OPEN if a legal challenge were to be lost. 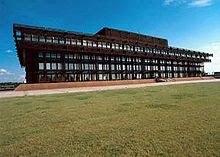 In a report about environmental justice in May 2008 Lord Justice Sullivan said "Unless more is done, and the Courts' approach to costs is altered so as to recognise that there is a public interest in securing compliance with environmental law, it is only a matter of time before the UK is taken to task for failing to live up to its obligations under Aarhus". Happily, with the UK's referral to the European Court of Justice, that time may now have come. PS Last week the UN ruled that the European Court must stop barring citizens from challenging European Union decisions that affect the environment. The European Union itself, as well as its member states, is subject to the Aarhus Convention.